We are always looking for used motorcycles and will buy any make or model. We offer the highest trade prices. We offer you a one-to-one bike buying service by phone or e-mail, meaning you can sell your bike quickly and effectively, without the trouble and expense of placing adverts, waiting for the phone to ring and dealing with time wasters and tyre kickers. Collection can be included too! 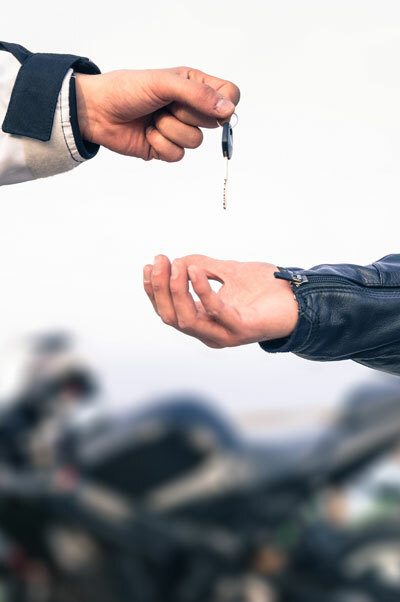 After a price is agreed for your motorcycle, we travel nationwide to collect your motorbike from your home address or place of work on a day that suits you, so if your looking to sell your bike, it couldn't be easier! Please fill in the form below to send us an enquiry and we will get back to you ASAP. Alternatively call us on 01923 221125.